Doug Kiel (PhD, University of Wisconsin-Madison) is a citizen of the Oneida Nation and studies and teaches Native American history, with particular interests in the Great Lakes region and twentieth century Indigenous nation rebuilding. 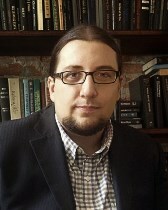 His current book project, Unsettling Territory: Oneida Indian Resurgence and Anti-Sovereignty Backlash, examines how the Oneida Nation’s leaders strengthened the community’s capacity to shape their own future by envisioning, deliberating, and enacting a dramatic reversal of fortune during the twentieth century. Doug is a co-editor (with James F. Brooks) of "Indigenous Midwests," a special issue of Middle West Review. 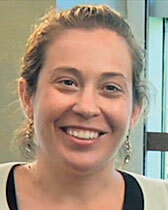 Laura León Llerena (PhD, Princeton) specializes in colonial Latin American studies. She teaches courses on the discursive articulation of indigenous identities; native Andean Empire narratives; myths and cautionary tales about the unknown in Spanish and Portuguese colonial America; and contemporary representations of colonial Latin America. Her scholarly interests extend to early modern literature and history of Spain, Portugal and the New World, translation studies, postcolonial studies, religion studies, and the ethnography of writing. Laura’s research has been awarded a John Carter Brown Fellowship and an Andrew W. Mellon Foundation/Volkswagen Stiftung Fellowship. 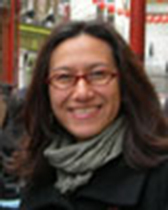 Mary Weismantel (PhD, University of Illinois Urbana-Champaign) is a cultural anthropologist who writes about indigeneity in the Americas, with a focus on Andean South America (Peru, Ecuador and Bolivia). Her writing currently engages new materialisms, decoloniality, and temporality, as well as [trans]gender, sexualities, and ontologies of the nonhuman. Mary teaches about race and racism, Latin America, and ethnographic methods and writing. Her current work concerns the ontologies and temporalities of ancient Pre-Columbian objects in twenty-first century places including museums and World Heritage sites, as well as in a proliferation of online avatars. Winter 2018: "Who Do You Think You Are?!" 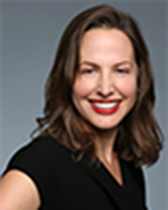 Kasey Evans (PhD, University of California-Berkeley) is a scholar of English Renaissance literature who teaches in the English Department and in the Program in Gender and Sexuality Studies. Her current research combines psychoanalysis and religious history to examine scenes of resurrection in Renaissance texts. She is the author of Colonial Virtue: The Mobility of Temperance in Renaissance Texts (University of Toronto Press, 2012), and a recipient of the Weinberg College of Arts and Sciences Distinguished Teaching Award. 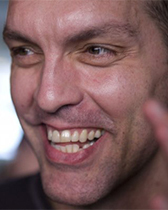 Lane Fenrich (PhD, Northwestern) is a social and cultural historian of the modern United States and teaches in both the History department and in Gender and Sexuality Studies. His research focuses especially on the period since the Second World War and he is at work on a book entitled Fear of Spying: Learning to be Normal in America's Queerest Decade. He is a winner of the Weinberg College Distinguished Teaching Award and the Charles Deering McCormick university-wide teaching award. Renee Engeln (PhD, Loyola University Chicago) is a body image researcher and Professor of Instruction in Psychology. Her research focuses on issues surrounding women’s body images, with a particular emphasis on cultural practices that create or enforce the frequently contentious relationships women have with their bodies. 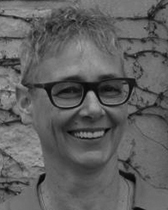 She has won numerous teaching awards at both Northwestern and Loyola University and has presented her research on fat talk, objectification, and media images of women to a variety of academic and professional groups around the U.S. She is author of Beauty Sick: How the Cultural Obsession with Appearance Hurts Girls and Women (Harper, 2017).